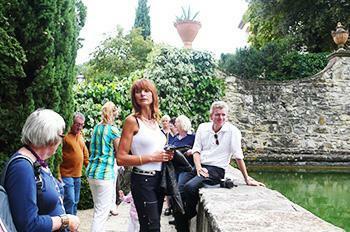 Florence, the pearl of the Italian Renaissance, where you can breathe art and culture in every corner. Milan is a modern city. The Italian capital of fashion and design. Rome, the Eternal City, filled with ancient and modern charm. The theater of the “Dolce Vita”. Siena sits right in the heart of Tuscany, rich of art and tradition, world-famous for its food and wines. 2019:Scuola Leonardo da Vinci Milano has moved right in the center of the city, just a few steps from Duomo Square, in the elegant area of Corso di Porta Vigentina, one of the most popular districkts for students and business people. The Critical Studies on Food in Italy summer program in Rome, designed and led by Gustolab Institute and Scuola Leonardo da Vinci Rome, has been given the patronage of the Expo Milano 2015 as an Academic Institution with an educational project coherent with the Expo Theme “Feeding The Planet, Energy For Life”, contributing to the future generations of the Expo 2015 legacy. Read more about it. A new video from Leonardo da Vinci school in Rome! What do you need to learn Italian? 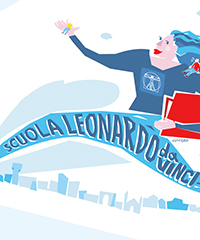 Watch the new exciting video of Scuola Leonardo da Vinci in Rome! More videos of Scuola Leonardo da Vinci can be found on our youtube channel! Sooner or later, it just happens to everyone: you find yourself looking for a special gift for a birthday or for a retiring colleague or you simply want to surprise your partner with a truly amazing present and you do not have the right idea at hand. We will help you "wrap" a special and unique gift: a language course at Scuola Leonardo da Vinci ® in Italy! Our Italian language schools are located in the most beautiful cities of the country: you can choose between Florence, Milan, Rome and Siena. Additionally, you will be able to choose the type of course and its duration. Upon request, the gift certificate may also include accommodation. Intensive language course for one week (5 days course): € 280 including registration fee and course material. This course includes 20 group lessons in international classes with max. 14 participants / group. To order a personalized gift certificate, please contact us indicating the name of the person to whom you want to give the gift certificate. Please, do not forget to indicate the school center of your choice, the type of chosen course and course duration! or call : +39-055-290305 (office hours: 9 am - 1 pm). Happy birthday Scuola Leonardo da Vinci Rome!! 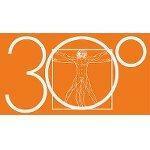 Our Italian language school in Rome was founded in 1984.... 30 years spent to teach Italian to millions of people. We feel lively and full of energy like the first day! Happy birthday Scuola Leonardo da Vinci Milan!! Join us and let's celebrate together our 10th anniversary. A rich calendar of activities, not to missed !! Open the door...discover Italy! You are here: Home About Us Scuola Leonardo 2.0 News!